Let’s talk about you and your training. Are you moving towards your goals? Are you truly happy with your results? If not, it’s time to find why. Perhaps you made the same mistake I made. Perhaps you are trying to train on someone else’s terms and not your own terms. If so, it’s time for things to change. It’s time to start training on your terms! As a young kid desperate to get bigger and stronger, I read everything about strength training I could get my hands on (in the pre-internet era – wow I feel old). I experimented with several training programs and exercises. However, when I looked at the scale and tape measure and seeing no results. However, over time, I found exercises and training strategies that worked for me and I actually started to get bigger and stronger. Then, as a young trainer, I made one of the smartest training decisions of my life. Instead of trying to blindly follow a program from a magazine (remember there wasn’t much of an internet then) – I hired a trainer at the gym I worked at who was way bigger, stronger, more knowledgeable and more experienced. Looking back, this could have been a disaster since this trainer had a completely different structure and body type than me. However, to my surprise, he actually did an amazing job of customizing a routine to my body. He knew the exercises that would suit my long, lanky frame. Although the routine did not have a barbell back squat, barbell bench press or barbell deadlift, I experienced some of the best gains of my life. I got way stronger on all my lifts and gained about 13lbs of muscle in only a few months. Fast forward a few years to the mid-2000’s. By this time, the internet had grown rapidly. As a young strength coach, I devoured print books, ebooks and online articles written by powerlifters, weightlifters, and other strength coaches. I wanted to be one of these famous trainers so I made a decision to become amazing at the powerlifts and other popular lifts. I wanted to be able to walk the walk and show that I was the real deal. So I jumped right in and tried to make powerlifting work for me. During this time, I would often try to copy the programs of others. 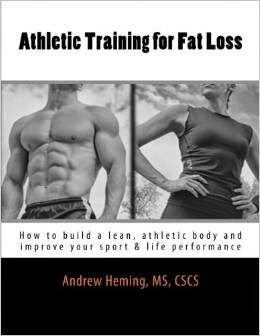 I would buy a popular book/ebook and then follow the program despite the fact that the program called for exercises and training strategies that I already knew did not work for me. By the end of the decade, I was a beat-up mess. My right shoulder was in constant pain and my low back ached all the time. I was constantly at the chiropractor to deal with the stupid mistakes (he probably bought a BMW with all the money I paid him). Finally, I came to my senses. I realized that things needed to change. I had to stop training on other peoples’ terms. I had to re-learn the lesson I had learned almost ten years ago. I had to start training on my own terms. I dropped the back squat and bench press from my routine. While I’m still a firm believer in simple big movements: squat, hinge, push, pull, loaded carry, I realized that you didn’t have to pick one specific variation of a movement. I found the variations that worked for me. I also gave up on training strategies that I knew didn’t work for me (e.g. whole body routines, high reps). As a result, I stayed lean, gained muscle, got way stronger AND feel way better now than I did in 2010. I also enjoy training a lot more training on my own terms. During this time I was working as a both a trainer and a university strength coach. I would get athletes coming into our program with previous injuries. They couldn’t squat or deadlift and I would have to figure out ways to help them get results. Once I found exercise variations that they could do, we just focused on progressively adding weight to those lifts. For example, Olympic lifts could be done from the hang (i.e. taking the bar off the rack instead of lifting it from the ground and staying above the knees), back squats might be replaced with split squats and deadlifts with hip thrusts. In the end, they jumped higher, ran faster and stayed healthy. Why did I start training? What do I really want to get out of my training? Who am I trying to please - myself of someone else? Why do I do the exercises that are in my routine? Is it really because they suit me, or just that someone else said they were good. Do my current training practices and exercise selections truly match my answers to the above questions? Crazy-Important Note: if a popular exercise doesn’t work for you, replace it with a different variation that is equally as hard. You have to be really careful with this as human nature naturally gravitates towards easier exercise variations. However success in the gym demands the embrace of hard exercises and brutally hard work! Don’t do what most people do and replace squats with leg extensions, deadlifts with leg curls, bench press with cable crossovers and chin-ups with concentration curls. You want better – not easier! One of the exercises that I had to drop from my training due to shoulder pain was the bench press. 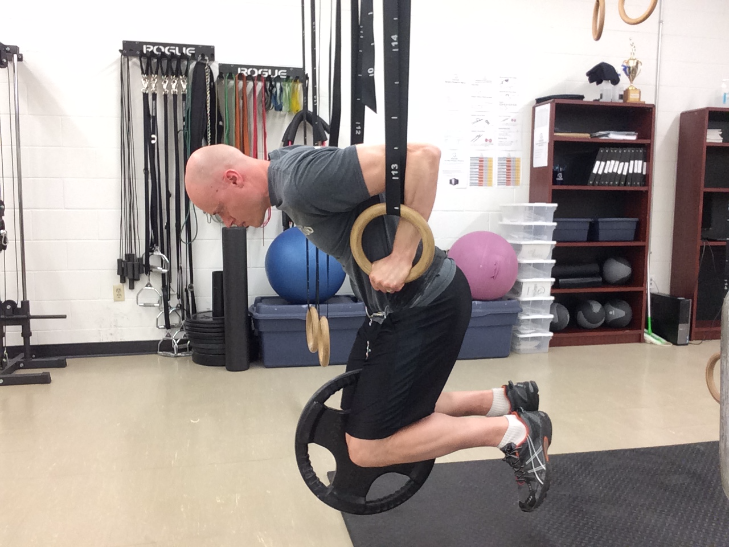 One of my favorite alternatives I found was ring dips (hence the picture at the top). Normally, I wouldn’t recommend dips for someone with shoulder pain. However, I was willing to experiment on myself. Compared to bench press, ring dips hit my chest way harder, allowed me to press pain free, are better for my shoulder flexibility and allow me to regularly add weight and get stronger. The moral of the story is not that you should do dips if you have bad shoulders. Rather that you should be willing to experiment with different variations to find what works for you. Don’t just do something because it seems like a good idea in theory. Don’t assume that just because something worked well for others, it will work for you. Note that some people with great genetics (and/or chemical assistance) get great results despite certain things they do. Treat yourself as an experiment. Remember that your training should be enhancing these four goals: health, performance, body composition and longevity. When you try something, carefully measure the results. Then, sit down and reflect on what happened. Continually learn from your experiences. Remember that the only people who have to do specific variations of exercises are competitive lifters. Unless you are an elite competitive lifter, no one cares how much you can lift. Work with the body you have been given. Feel free to do popular variations of exercises if they work for you. For example, I still love the barbell deadlift from the floor. I’ve got long arms and it works for me. Don’t be afraid of not doing popular exercises that don’t work for you. Yes, it may mean that when you are at a cocktail party and someone asks you that famous question, “How much do you bench?” you may have to answer, “I don’t bench.” Don’t worry, usually, the only people who ask that question don’t lift and just want to sound like they know what they are talking about. In addition, you now can then explain why you don’t bench and what you do as an alternative instead. This has got to be better than trying to struggle through the typical (and often awkward) small talk about sports and the weather. Bottom line: lift on your terms. Using fitness products to enhance your workout and get maximum results is good if you are looking to lose weight.